An exceptionally well presented three bedroom semi- detached house situated in the popular village of Templecombe. This most appealing home has recently been modernised featuring an outstanding kitchen/dining room with ceramic sink and solid oak working surfaces. 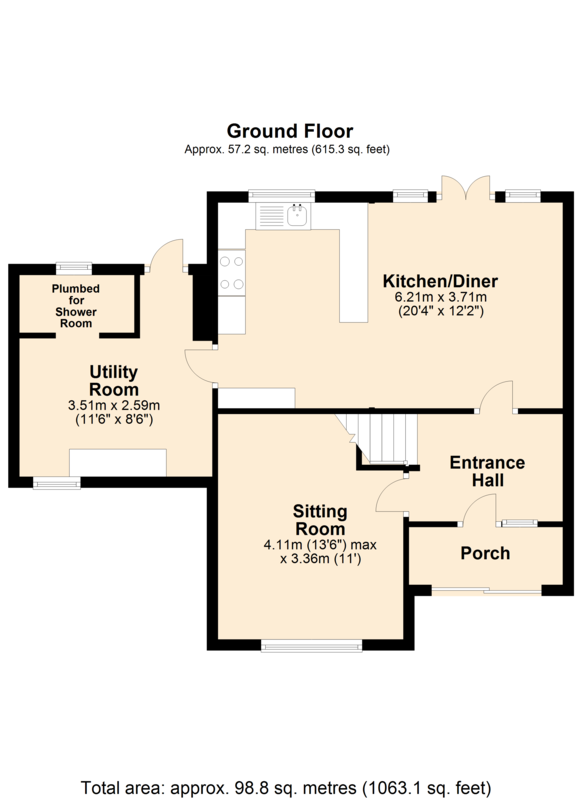 There is also a stylish bathroom suite, three double bedrooms, cosy sitting room, oil fired central heating with new boiler and radiators, utility room, driveway and large sunny aspect rear garden. A section of the utility room has a stud wall and plumbing in preparation for a shower room. LOCATION: Templecombe is situated in the beautiful Somerset countryside. There is a railway station with regular services to Waterloo (2 hours), Post Office/Newsagent, Doctor's Surgery, recreation ground with a tennis court, skateboard area, children's play area and a Social Club. The Village Hall holds events such as a bowling club and a youth club. A Mum's and Toddler's Pre-School group and a Church of England voluntary aided Primary School. Morrisons supermarket is just 4 miles away on a bus route. Buses also run on a timetable to Yeovil, Wincanton, Gillingham and Shaftesbury. ENTRANCE HALL: A spacious hallway also utilised as a study area with engineered oak flooring, radiator, smooth plastered ceiling with downlighters and smoke detector. SITTING ROOM: 13’6” x 11’ Radiator, smooth plastered ceiling, engineered oak flooring, cabling for wall mounted television and double glazed window to front aspect. UTILITY ROOM: 11’6” x 8’5” (excluding recess) Radiator, space and plumbing for washing machine and dishwasher, oil fired boiler supplying domestic hot water and radiators and double glazed window to front aspect. SHOWER ROOM: This is incomplete although with studwork, shower room fittings (not connected) and double glazed window. LANDING: Radiator, smooth plastered ceiling with downlighters, smoke detector, hatch to loft and double glazed window to side aspect. BEDROOM 1: 14’4” x 9’ Radiator, smooth plastered ceiling and double glazed window overlooking the rear garden. BEDROOM 2: 11’ x 10’ Radiator, smooth plastered ceiling, laminate flooring and double glazed window to front aspect. BEDROOM 3: 9’9” x 9’ Radiator, smooth plastered ceiling, laminate flooring and double glazed window to front aspect. 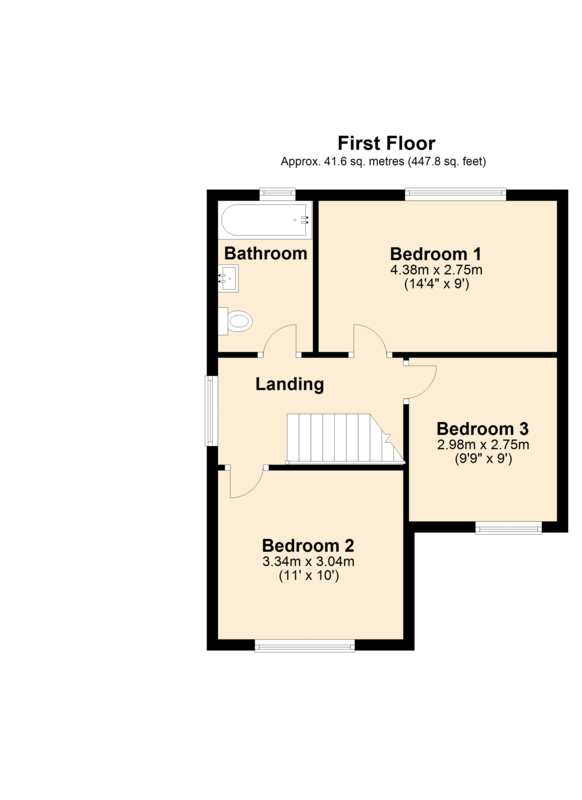 BATHROOM: A stylish suite comprising panelled bath with shower over, vanity unit, low level WC, heated towel rail, smooth plastered ceiling with downlighters, tiled to splash prone areas and double glazed window. REAR GARDEN: A large sunny aspect garden being mainly laid to lawn enclosed by mature hedging and fencing. Oil tank. SERVICES: Mains water, electricity, drainage, oil fired central heating and telephone all subject to the usual utility regulations.